For food on the move, Oink is unbeatable and on budget. 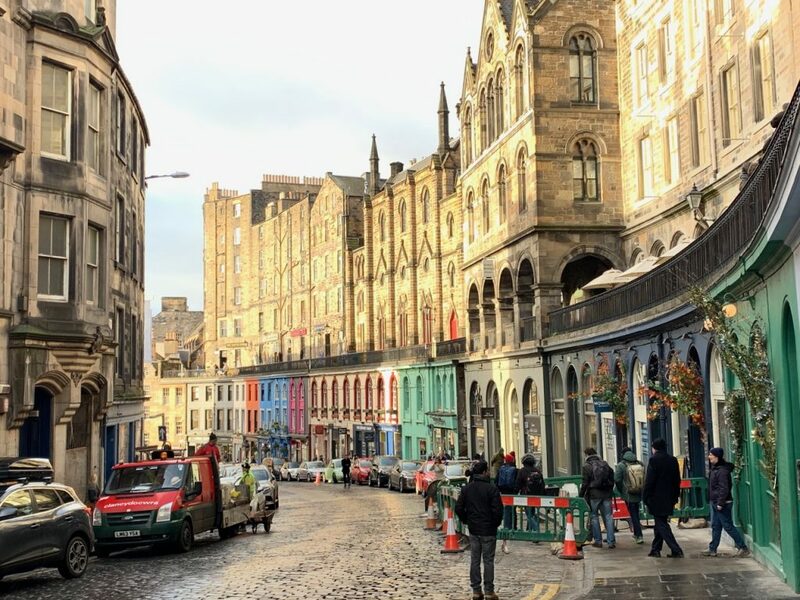 Oink is situated on the atmospheric Victoria Street in the Grassmarket. 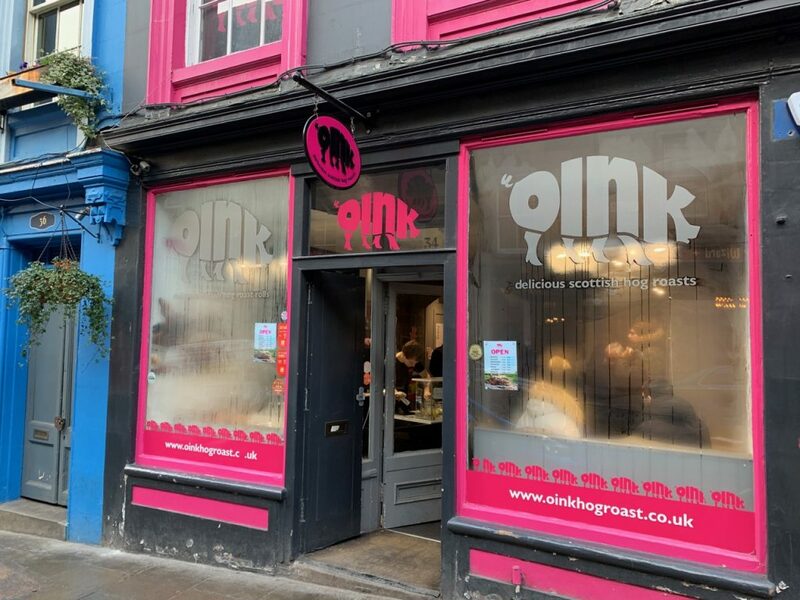 With a black and neon pink colour scheme it can be hard to miss – though the smell and wide window with a full pig in also catches the eye! Inside there are a number of options available. 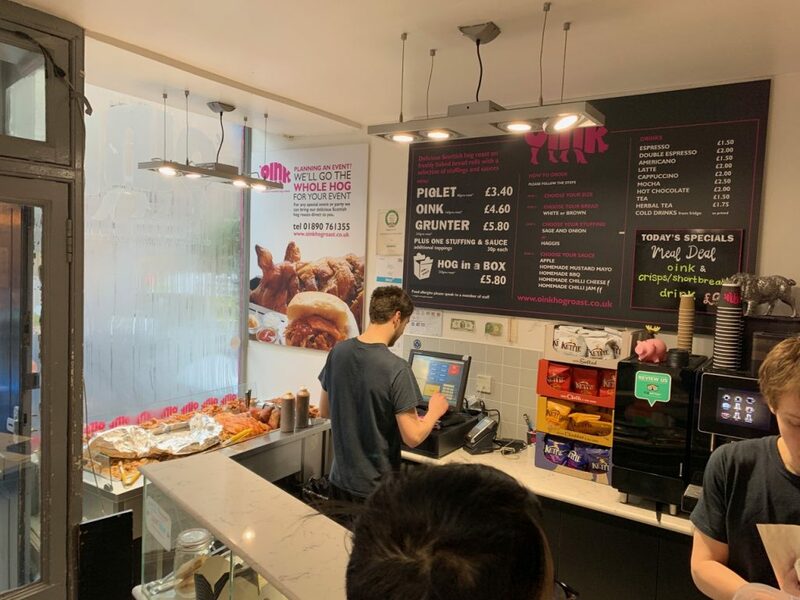 They offer sizes varying from a child’s piglet (80g of meat) at £2.80, the eponymous Oink (160g of meat) £3.80, and the big bad (not wolf – that would be a bad metaphor in a shop that sells pig…) Grunter (250g of meat) at £4.80. 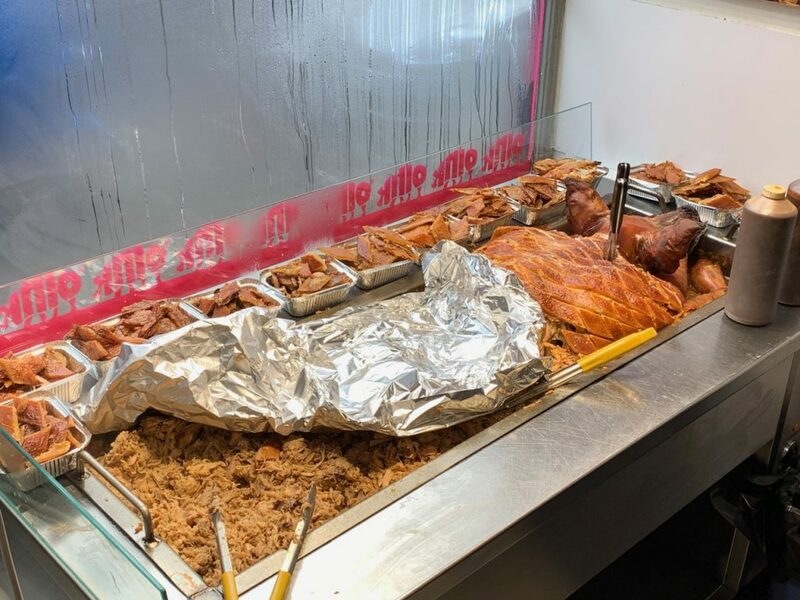 One can choose to have your meat on a white or brown roll, with sage and onion stuffing or haggis as well as a choice of sauces including apple, BBQ, mild chilli and hot chilli cheese. Wrapped up in tin foil as snugly as a pig in a blanket and with a good selection of drinks on offer, you can take your roll out or choose to eat in on the (limited) seating inside. 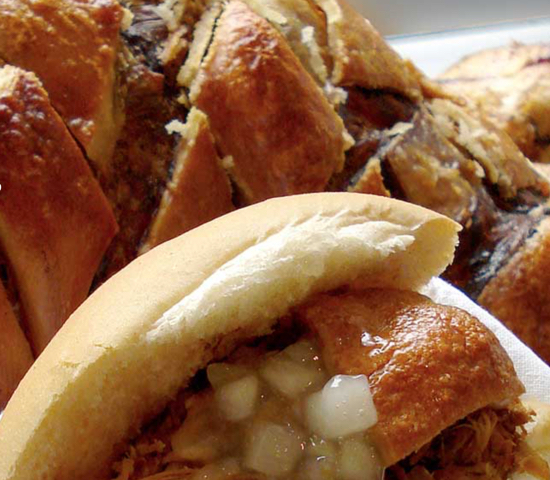 The pork itself is beautifully tender and flavoursome, the rolls are of very high quality. 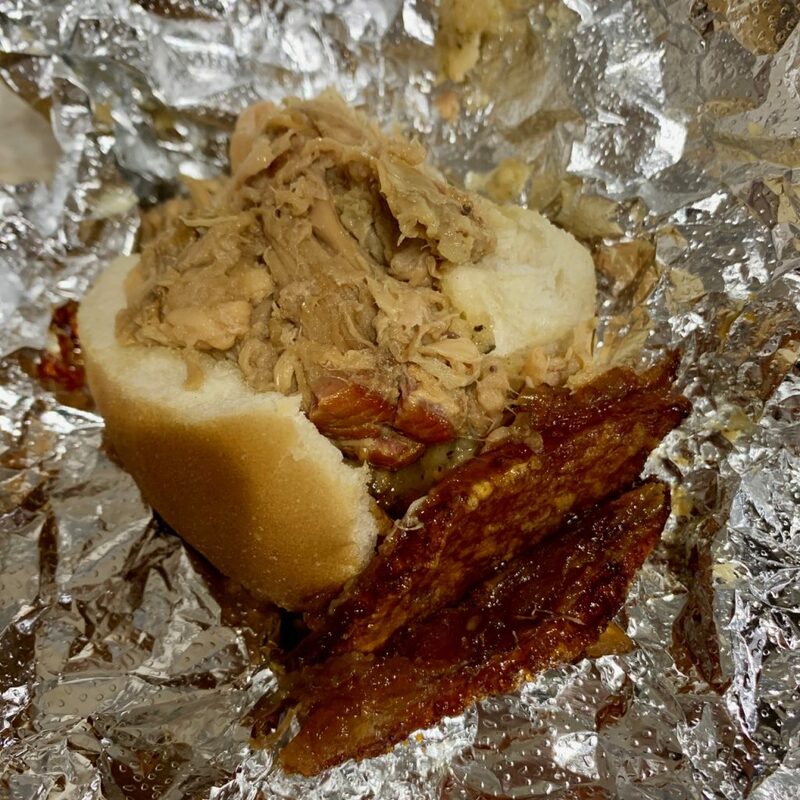 I chose the BBQ sauce, which complimented the tenderness of the pork well and added a juicy quality to it. You can also request for those crispy roasted pork skin – loved the crackles when you munch them! So what are you waiting for?